Illinois communication professor John Murphy’s new book examines the legacy of John F. Kennedy through his speeches, looking at their style, substance and connection with Kennedy’s political philosophy and goals. John F. Kennedy was known for his eloquence as a public speaker, perhaps more than any modern president. But what made him so effective? 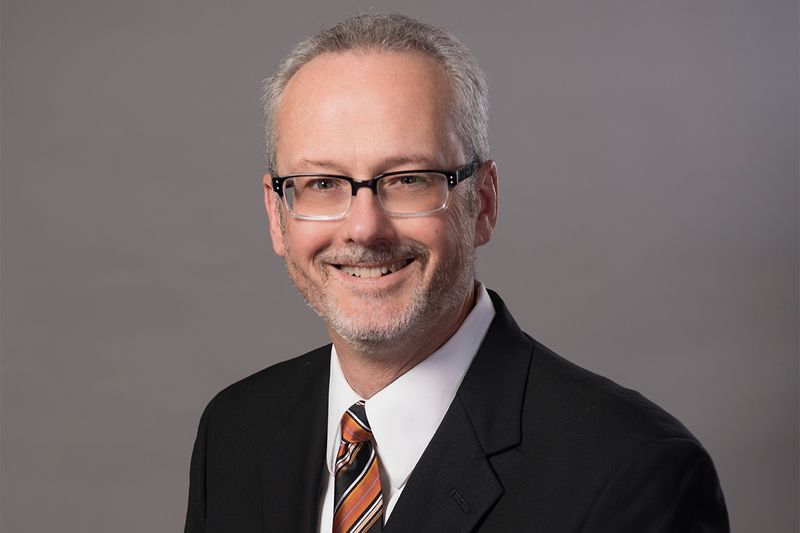 U. of I. communication professor John Murphy examines the question in “John F. Kennedy and the Liberal Persuasion,” being published this month. Murphy spoke with News Bureau social sciences editor Craig Chamberlain about what he found. What did Kennedy and his speechwriters do that made his speeches memorable, especially for his early-1960s audience? John Kennedy's speeches were musical in a number of ways. For one thing, he exploited the rhetorical resources of balance and rhythm. His most famous speeches, his most famous phrases, bounced like the lyrics to songs. The balanced phrasing in “Ask not what your country can do for you; ask what you can do for your country,” from his inaugural address, made the line seem natural, a form of common sense. In life, we like and value balance and we do so in speech as well. Add the repetition of key words and the rhythm of one- and two-syllable words, and you had a most memorable line, one that is still continually quoted. 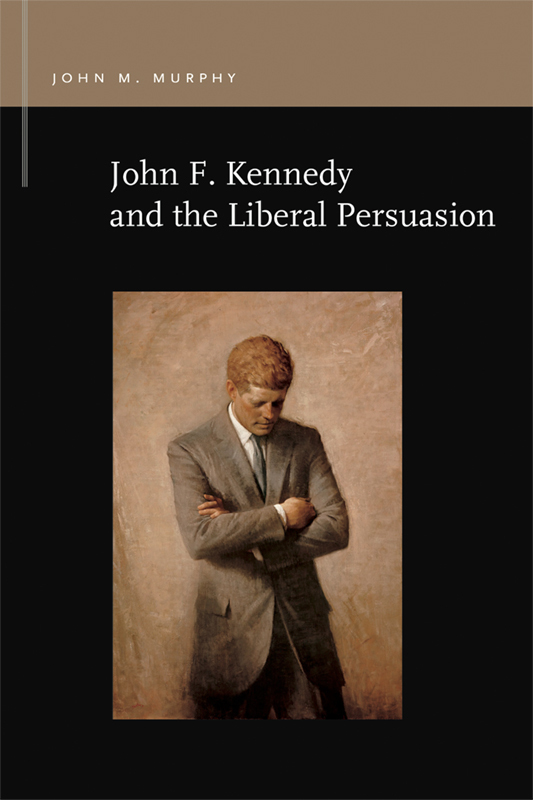 “John F. Kennedy and the Liberal Persuasion” is published by Michigan State University Press. Kennedy also often added rhyme to his phrases. In his inaugural, for example, he did not talk about nuclear proliferation, an awkward, bureaucratic phrase. Rather, he worried aloud about the “steady spread of the deadly atom.” The assonance, the repetition of the internal vowel sound, made the line sing. Finally, he liked short, clear, direct phrases and speeches, the equivalent of a Top 40 hit in music. His inaugural and his Berlin wall speech both took Lincoln’s Gettysburg Address as a model and sought to say a lot in a few words. In other words, JFK often created earworms and soundbites. As television became an important source of news during his administration – newscasts expanding from 15-30 minutes in 1963 – his set of rhetorical skills ideally suited him to this new era. What’s the “liberal persuasion” you refer to in the book title? And how does that connect with what Kennedy sought to communicate? Speeches not only flow from the intelligence and skill of an individual speaker or writer, but also from larger cultural and rhetorical traditions. Liberalism is one such tradition, present since the nation’s founding. “Liberal” traces to the Latin word for “free man.” Liberals generally stand for such principles as religious liberty; freedom of thought, body and speech; an independent, plural civil society; the rule of law; checks on power; private property; and competitive market economies. In support of those ideals, liberals built a language, a way of talking, that JFK adapted to his time and place. When he argued that a Catholic could serve as president, for instance, he struck a blow for the freedom of religion. He wrote a book praising the United States as “A Nation of Immigrants” and proposed what would eventually become the 1965 Immigration Act. He did so because he believed the energy and commitment of immigrants contributed greatly to the diversity of the nation and the social mobility of the economy. He argued that the more open, diverse and rambunctious a society is, the better a society will be. He also encouraged the development of the arts. He created the Presidential Medal of Freedom for cultural achievement, invited the poet Robert Frost to speak at his inaugural, hosted concerts in the White House, and supported the performing arts center that eventually carried his name. A free and liberal people, he felt, should seek excellence in all arenas. What do you consider to be Kennedy’s “greatest hits,” beyond the inaugural, that made a difference then or have had a lasting influence? Historians, biographers and rhetorical scholars often point to June of 1963 as a time when he threw caution to the wind. On June 11, he spoke at American University and called for a new era in the Cold War, a shift to what he termed a “strategy of peace.” The speech led to an atmospheric nuclear test ban treaty and critics still regard it as perhaps his best effort. He then went to Europe and delivered his famous condemnation of the Berlin Wall, arguing that liberal democracies had many faults, but that we had “never had to build a wall to keep our people in.” An emotional stop in his ancestral home of Ireland and a marvelous speech to their Parliament ended this string. It was quite a few weeks. Editor’s note: To reach John Murphy, call 706-308-6642; email jmmurphy@illinois.edu; Twitter handle @MurphyOA. 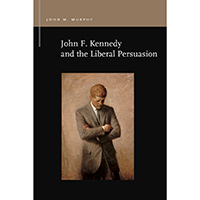 “John F. Kennedy and the Liberal Persuasion” is available from Michigan State University Press.